Apical surgery is considered a standard oral surgical procedure. It is often a last resort to surgically maintain a tooth with a periapical lesion that cannot be managed with conventional endodontic (re-)treatment. The main goal of apical surgery is to prevent bacterial leakage from the root-canal system into the periradicular tissues by preparing a retrograde cavity and placing a tight root-end filling following root-end resection. The aim of this study was to evaluate the necessity and frequency of apical resection, the materials used for retrograde filling and the monitoring of results by conducting a survey amongst Bulgarian dentists from Varna and Sofia. The results are based on the answers of 120 dentists on an individual questionnaire for a period of 60 days. A very high percentage of respondents rely on apical resection as a dependable method for the retreatment of periapical lesions. The research shows rising confidence in surgical treatment methods when periapical lesions cannot be treated with conventional endodontic methods only. Additionally 63% direct, on average, only one patient per month for apicoectomy, whereas 14% do not trust the surgical methods of treatment. 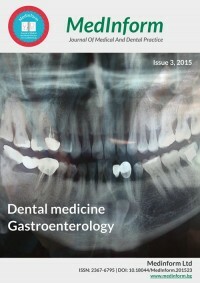 36% of dentists monitor patients after apical resection for more than one year. The method of cold lateral condensation is the most commonly used for root canal filling before apicoectomy.